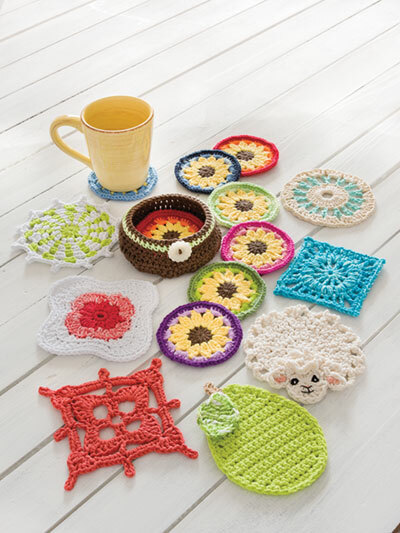 8 different designs to deck out your table year-round. 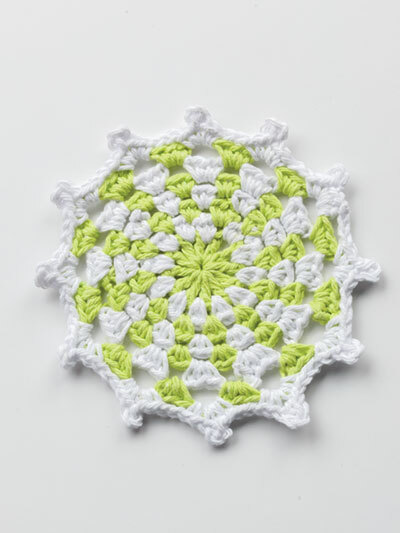 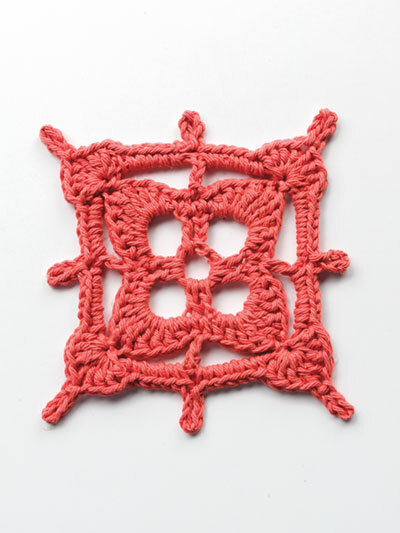 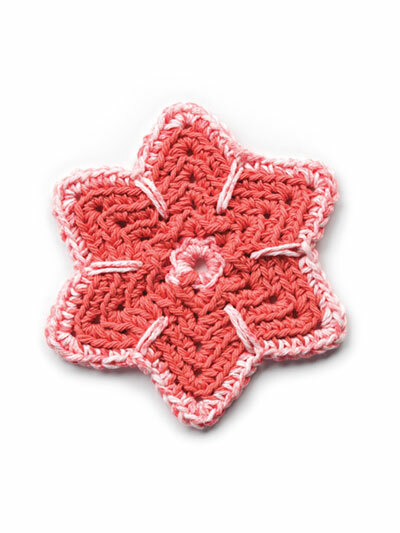 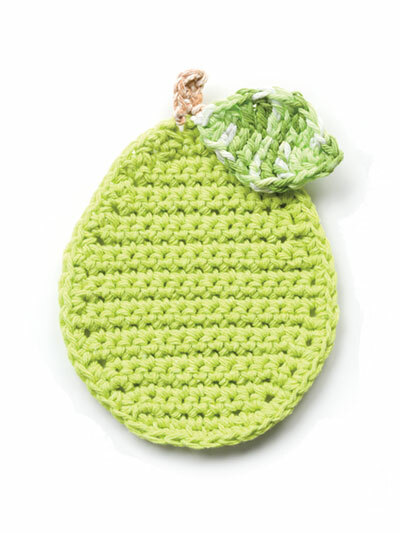 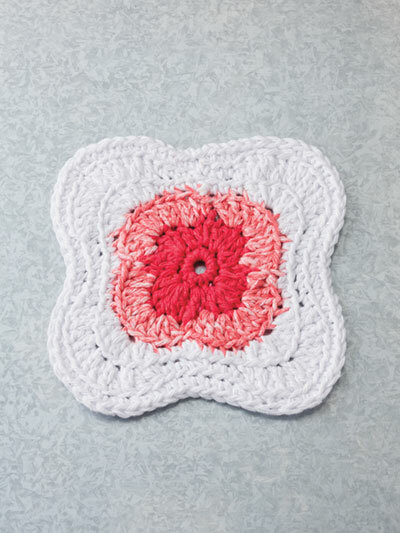 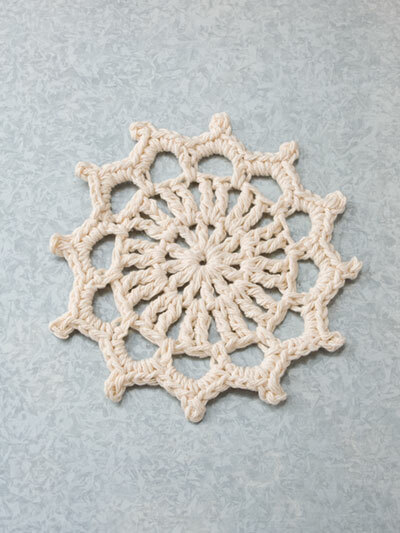 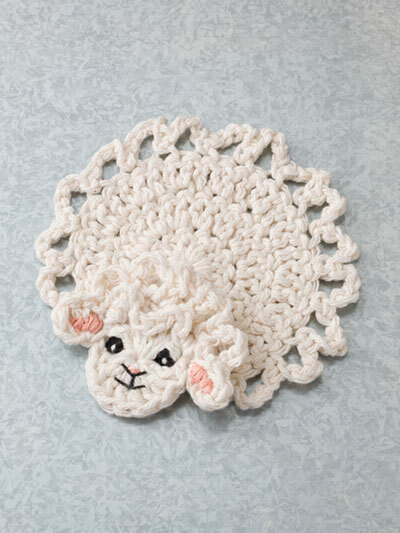 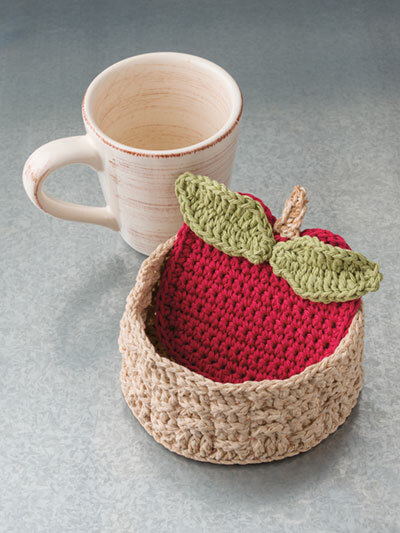 Each design is made using worsted-weight cotton yarn. 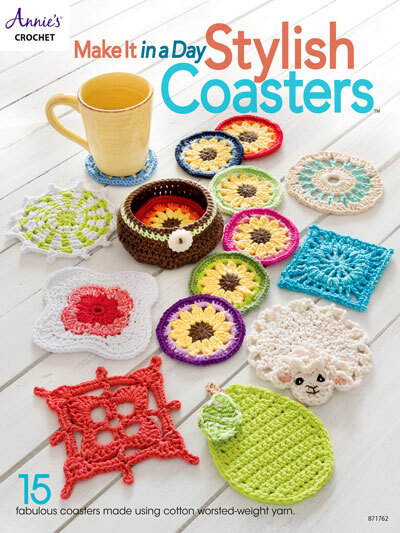 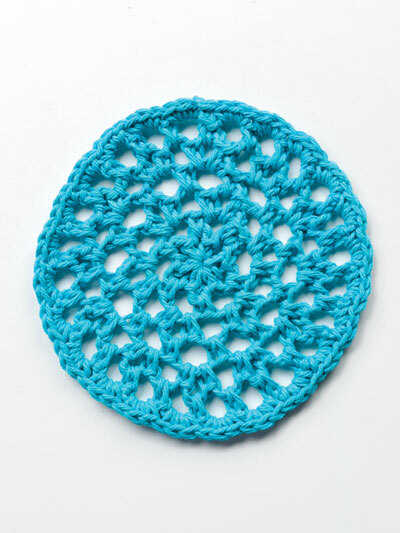 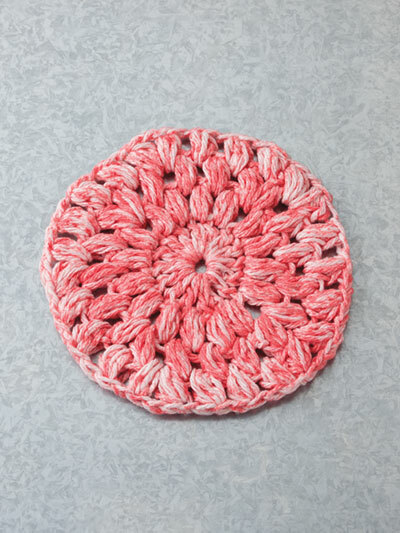 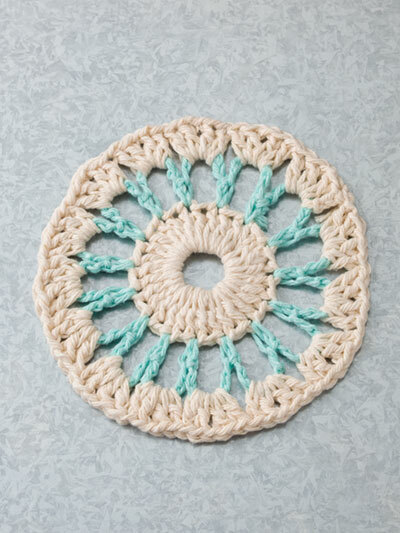 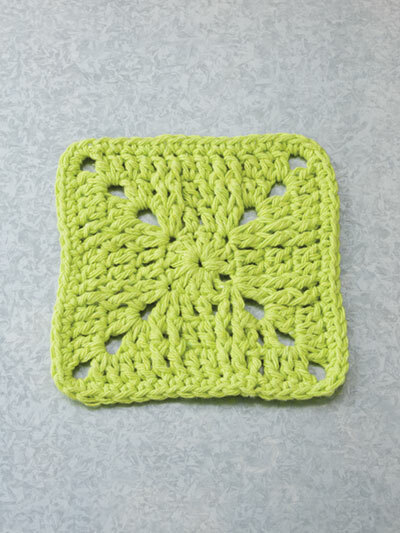 Coasters range in size from 4" to 5 1/2" diameter. 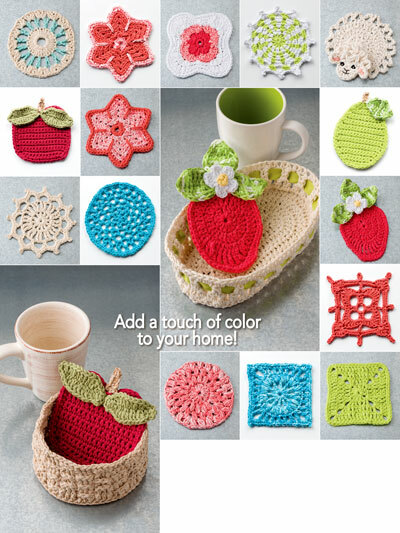 Shapes include a Strawberry, an apple, a pear, circles, star, and squares. 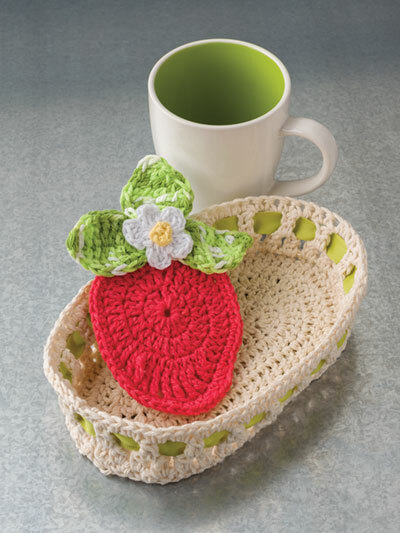 Three coaster holder baskets are also included.